Julie Schilly, you were fantastic! You went above & beyond to help us make our trip wonderful! And that I thank you for!! :) I thought everything you did before & during our trip was great! Not everyone would give their personal numbers out, in case of questions while we were gone. I liked knowing I had someone to ask if I couldn't find the answer myself. :) You met our expectants & went above. 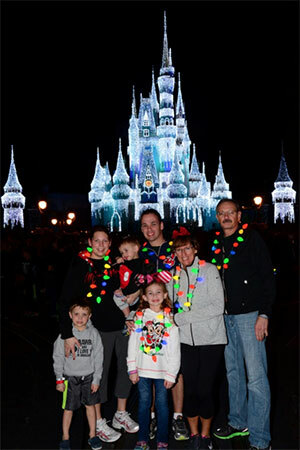 The services you provide with Mickey Mom Travel, LLC go beyond what anyone has ever provided us with. Thank you for working with the time of year we wanted to go & giving us insight on the what things do to when we were there. Everything was laid out & done for us. The tips & suggestions were fabulous, and the laminated itineraries were awesome! !